Home » Science » Two long-lost episodes of Mystery Science Theater 3000 have been found! Two long-lost episodes of Mystery Science Theater 3000 have been found! MST3K, the cult movie-riffing series that inspired a million bad movie fans, is returning soon via Netflix, but that’s not even the biggest news the show has to offer. 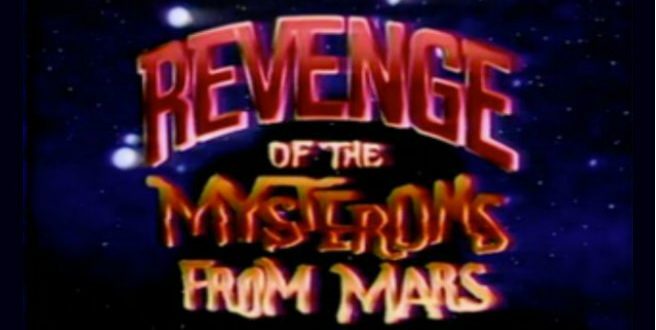 Two of the show’s first three episodes, long thought to have been lost forever, “Invaders From The Deep” and “Revenge Of The Mysterions From Mars,”have recently been recovered! Hodgson goes on to say that re-watching the episodes nearly 30 years later was a bit rough, but that ”seeing them now, I’m so proud we took the leap of faith and tried it.” The episodes are now available to anyone whose Kickstarter rewards included “Classic MST3K Bonus Episodes,” and you can find them by logging in to your VHX account and going to the “Classic Episodes” section. Hodgson also adds that he took some notes on the new-old episodes, and will share them sometime this week.